Yahoo has confirmed the discovery of a major data breach which has seen the personal details of around 500 million users leaked to persons unknown, in what it claims was a 'state-sponsored' attack. Acquired by Verizon earlier this year, Yahoo is one of the grandfathers of the modern internet and runs a variety of services ranging from its minority-share search portal to social networking Tumblr and photo-sharing service Flickr. Its most recent announcement, however, is most unwelcome: the discovery of an attack in 2014 which leaked the personal information of 500 million of its users, including usernames, email addresses, telephone numbers, security questions and answers, and hashed passwords. 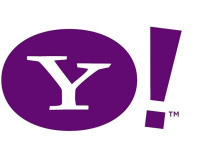 To protect its users following the discovery, Yahoo has begun contacting them via email, is requesting password changes on next login, has invalidated any security questions that were stored unencrypted, and is pushing its Yahoo Account Key second-factor verification system in place of passwords. Lord has further claimed that the investigation has shown no evidence that the attacker is still present within Yahoo's system, suggesting a dump-and-run attack which resulted in a copy of the user database rather than anything more long-lasting. More details on the attack are available on Yahoo's official notification page. Same as the December breach.